Whenever I need to write out several scenes with different frame range… Nuke is not friendly in dealing such circumstances compared to After Effects render queue. Credit goes to Gabor L. Toth for this expression that will automatically disabled the write node outside of its frame range. 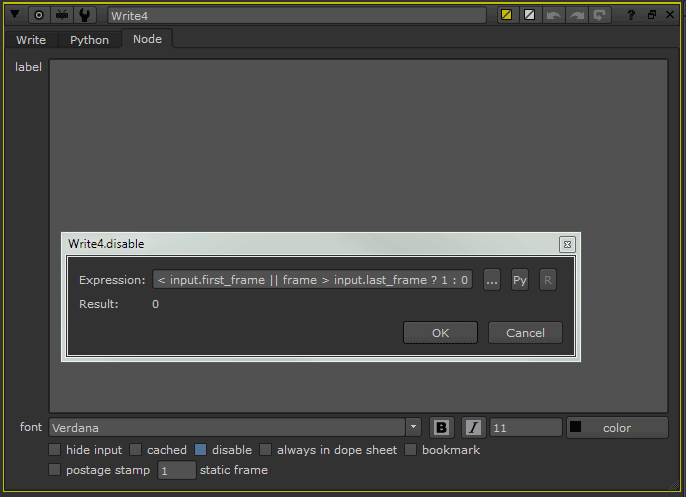 Add this to your Write node disable knob (right click on it and choose Expression in the context menu) as seen in the above screenshot. This is great when for you have two or more write nodes with different frame range (eg: 110-220, 34-96, 0-114), you choose to render all of the write nodes and select Custom range. 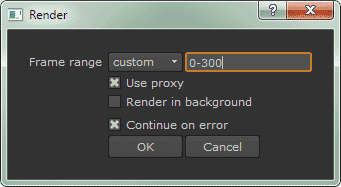 Choose a range that covers all the possible frame range and render away.